Social media is one of the best ways to communicate your brand to customers. In addition to mass exposure, you have the opportunity to engage with your customers on a more one-to-one level compared to other marketing channels. However, timing is everything with social media. What time should you make your post? 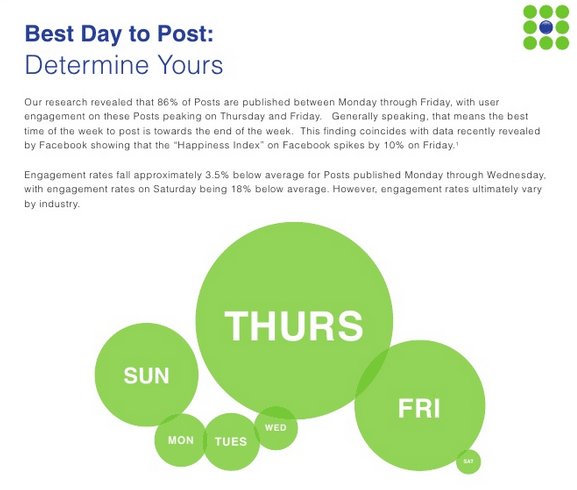 What day of the week receives the most engagement? Are you familiar with local events going on that could drive more traffic to your pages? 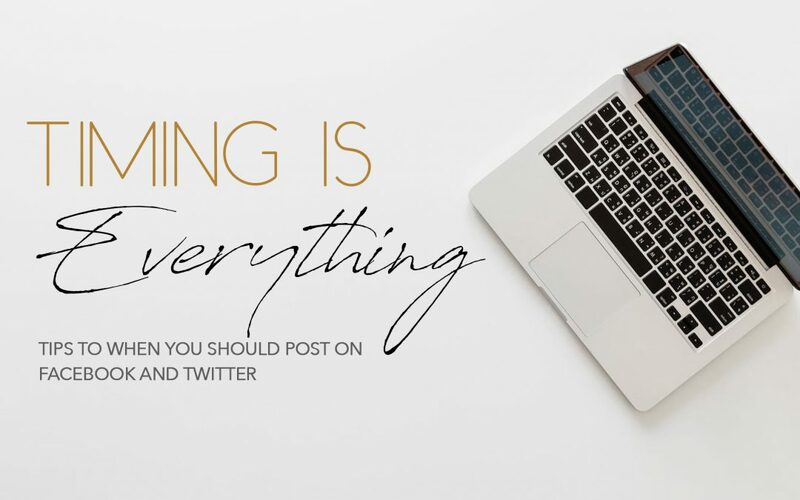 While there’s no perfect answer, plenty of research has been conducted to guide you to make the best timing and posting decision. As far as customers go, each person is different and how they use social media can vary. Through trial and testing, you will find what method works best. Here are a few tips to help you get there! When it comes to having social media accounts, over 80% of the US profiles live within the Eastern and Central time zones. As a restaurant, because you are most likely posting locally, you aren’t impacted by whether or not someone in California is reading your post if your restaurant is in New York. 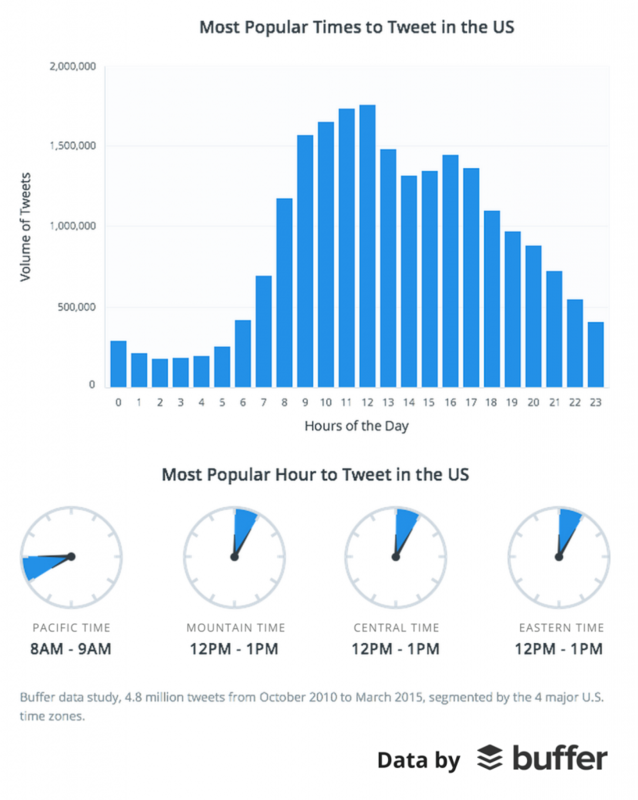 However, it has been recommended non-peak hours are the top time to tweet for clicks. Doing this will help your tweets standout since you won’t be tweeting during a high-volume time of overall tweets in a customer’s feed. This rule also applies for Facebook. With Facebook’s new algorithm, businesses will want to focus on posting engaging and quality content that will promote comments, shares, and likes. Knowing your local audience and being in the know of local items such as what events are coming up can help drive traffic to your social media pages. To be sure you’re connected locally to events occurring in your area, consider joining your local Chamber of Commerce, or begin following local business pages that are constantly posting events for customers and residents in your area. These pages could end up being your best friend in the event they “Share” or “Retweet” one of your posts to their followers! As far as social media is concerned, each channel has different recommended days to post. With Facebook, between Thursday and Sunday, engagement can be anywhere between 18%-32% higher than Monday through Wednesday, where engagement is about 3.5% lower. If you are looking to try a more “informal” or change of tone with your content so it isn’t so restaurant/business focused, use Friday to test the waters. People are most happy this day of the week and will be more receptive to that fun and engaging content! Facebook usage spikes by 10% on Fridays because – and we can assume! – it’s the last day of the work week and people are ready for the weekend. For brands, Fridays generate 17% of all likes, 15% of comments and 15% of shares. Twitter is slightly different. The best days to post content on Twitter is Wednesday, but customers respond more positively during the weekends while other business will respond more during the weekends. Weekdays tend to show a stronger performance, though some niches might have more active audiences on the weekend. The best times to post on Facebook are early in the morning (around 9 a.m.), during lunch (1 p.m.), and late afternoon (when we all are looking for that ‘before-I-leave-work break’ at 3 p.m.) Specifically, 12-1 p.m. is prime time on Saturday and Sunday. The worst times are weekends before 8 a.m. and after 8 p.m. The best time to post on Facebook has been up for some debate, with stats ranging from 1 p.m. to get the most shares, to 3 p.m. to get the most clicks, and anytime before dinner. Knowing this is a big deal as a restaurant owner because you could promote a special to drive some last minute traffic to your restaurant! Once dinner passes, user engagement begins to fall, as customers are beginning to settle into their evening routines. Twitter is very similar, where the most ideal posting times are around 12 p.m., 3 p.m., and after work at 5-6 p.m. These times revolve around “breaks” in the work day where customers are free to look and roam on sites other than their work. Customers view Twitter like a RSS feed where there is constant information and content that is updating every second for them to peruse during down times during their commutes, breaks, and non-working hours. If you want to get more customers engaged, tweeting around 5 p.m. will get you the most retweets, but 12 p.m. and 6 p.m. will bring you more click-throughs.